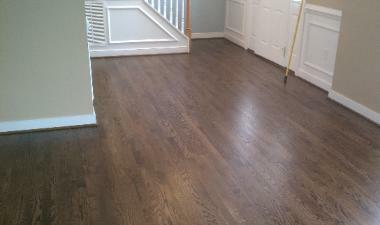 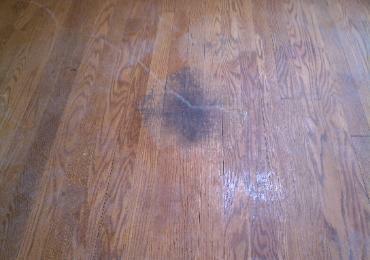 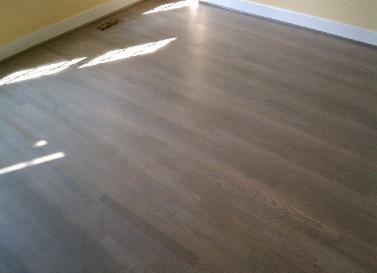 This is an oak floor where the customer wanted a grey floor. 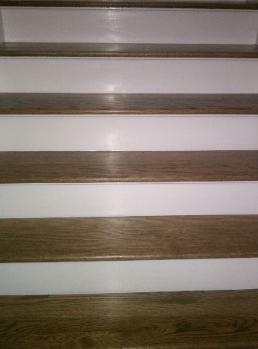 We mixed white and ebony stain to get this effect. 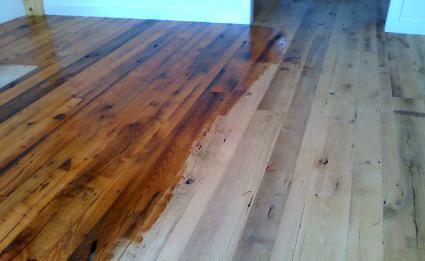 This is oak flooring made from an very old barn. 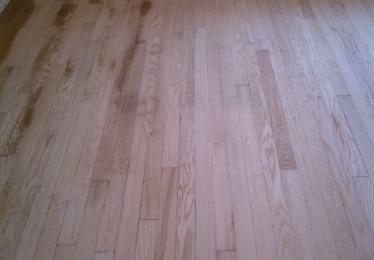 The wood was milled from the walls of the barn. 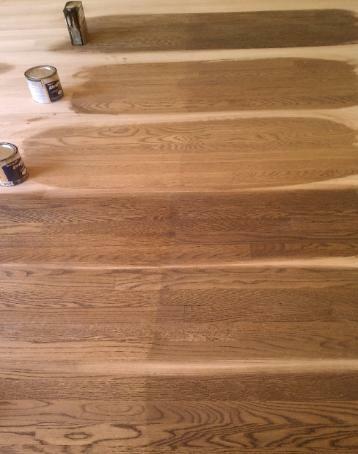 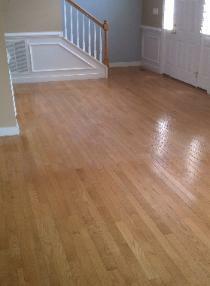 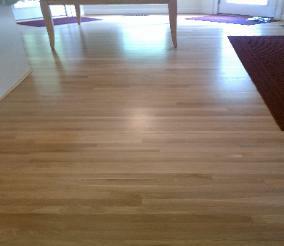 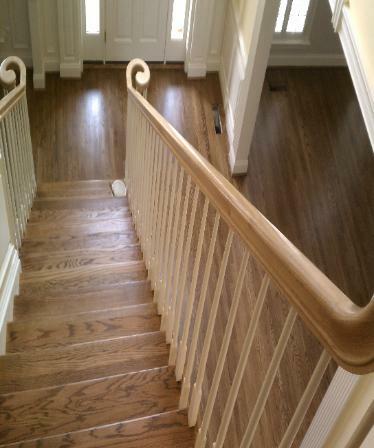 Prefinished existing oak floor sanded, stained Dark Walnut, and finished with Bona Traffic Satin. 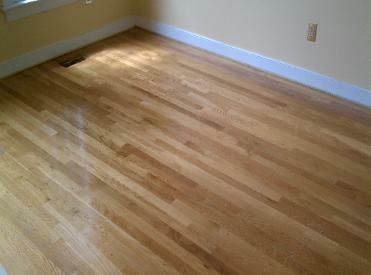 waterpopping floor (on right) and not (on left).